Wireframing and prototyping are very often confused. The average person and sometimes even designers make the mistake of interchanging them. They are both critical parts of the design process and they each have their unique role. If you look at these terms from a broader perspective, the biggest differentiator is the level of detail – how closely a mockup resembles the final product. 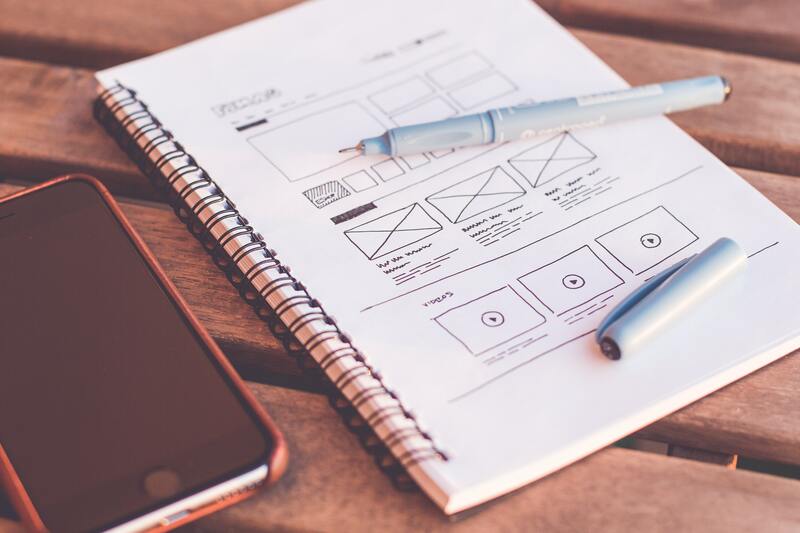 Wireframing and prototyping are amongst the first steps in bringing your idea to fruition, but you must have a digital strategy in place. You want to understand how your customers engage with you and interact with your content. Once you understand this, the user experience design can begin to unravel. It’s important to keep things simple throughout the wireframing process. Adding complexity can lead to messy and overwhelming mockups. You also don’t want to spend too much time adding small details that may be eliminated in the first round of revisions. Think of wireframing as your brainstorming session. The product’s look and feel does not matter at this moment in the design process. You can think of prototypes as wireframes with all the bells and whistles added. Prototypes are a relatively simple working model of the final product. A prototype should include color, animations, and the actual content that will be on or in your product. A prototype is not the final product, but it’s acceptable to show other people. It’s much more realistic than a wireframe. Prototypes allow users to interact with and test the interface. It’s a functional mockup that should very closely represent the final product. 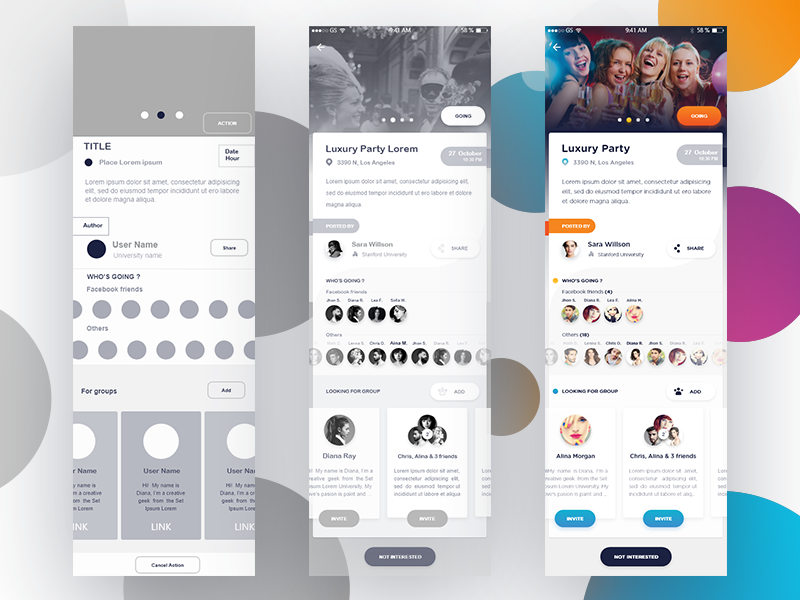 The prototyping phase is also a great opportunity for a UX/UI team to get feedback to make final iterations before sending it over to the developers. The developers are the ones responsible for making all the designs real! Pen and paper. Sketching is the fastest way to get your ideas on paper. Quickly sketching your ideas enables you to review, reflect, and revise your ideas. Putting ideas down on paper also ensures that you don’t spend too much time on details that aren’t important at this early stage of design. Freehand by Invision. It’s essentially a digital whiteboard that allows you to effortlessly sketch ideas and collaborate with your team. It’s built for design driven companies. Freehand makes it easy to provide feedback, make edits, or just follow along as the project continues to develop. Sketch is a digital design toolkit that allows you to transform your ideas into interactive prototypes. It has an intuitive interface, powerful plugins, and allows you to create customizable and flexible design elements with ease. Invision enables designers to create high-fidelity prototypes in a matter of minutes. You can upload your design files from Sketch or Photoshop and add animations, gestures, and transitions to bring your design to life. The prototypes you create on Invision are clickable and interactive giving you a sense of what the final product will look and feel like. The main difference between wireframing and prototyping is the level of detail that each one entails. Think of wireframes as the blueprints for a house – it’s a rough plan for what you want to build. Whereas the prototype would be represented by the actual structure, just not quite fully furnished! The whole design process is timely and challenging, but the objective is to deliver experiences that exceed user expectations.